So Isabell has inspired this workshop. First we will practice on canvas boards and other surfaces to get going then we will move on to glass frames with the backs removed. This will really utilise the the glass paints and also the gilding wax so we can give the frames a really gorgeous finish. If you have a frame you would like to paint or experiment with then please feel free to bring these in. Using Pebeo paints we will create enamel effects on pre-cut wooden decorations. Make as many as you like. perfect to use as gift tags, Christmas tree decorations. We will be getting in the festive mood this class if you have any flat decorations you wish to decorate them bring them in. For these workshops it doesn’t matter if you can’t draw and are not that creative, the paint does the work for you. This is definitely for those who love colour and exploring pattern in paint. You will play with bright colours foils and sparkle paints, explore the benefit of mediums to add different textures and glosses to your work. In the morning we will play with the paints so you can see which mediums and colours you like to experiment with. 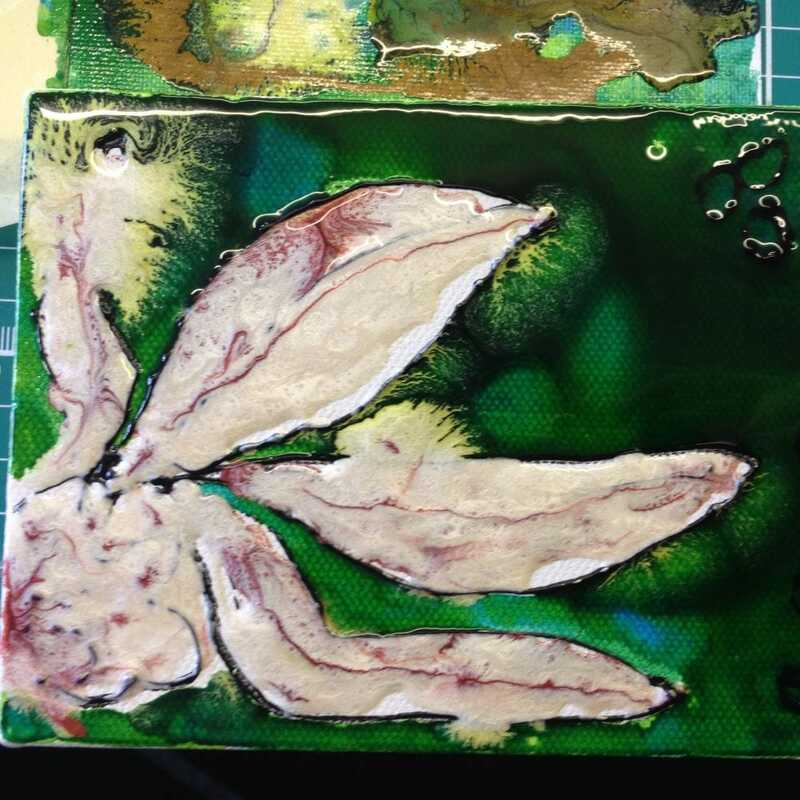 This workshop aims to be fun and you will leave with several small works of art, because of the nature of the paints they can take up to 24hrs to dry so feel free to leave them here and collect them another time.